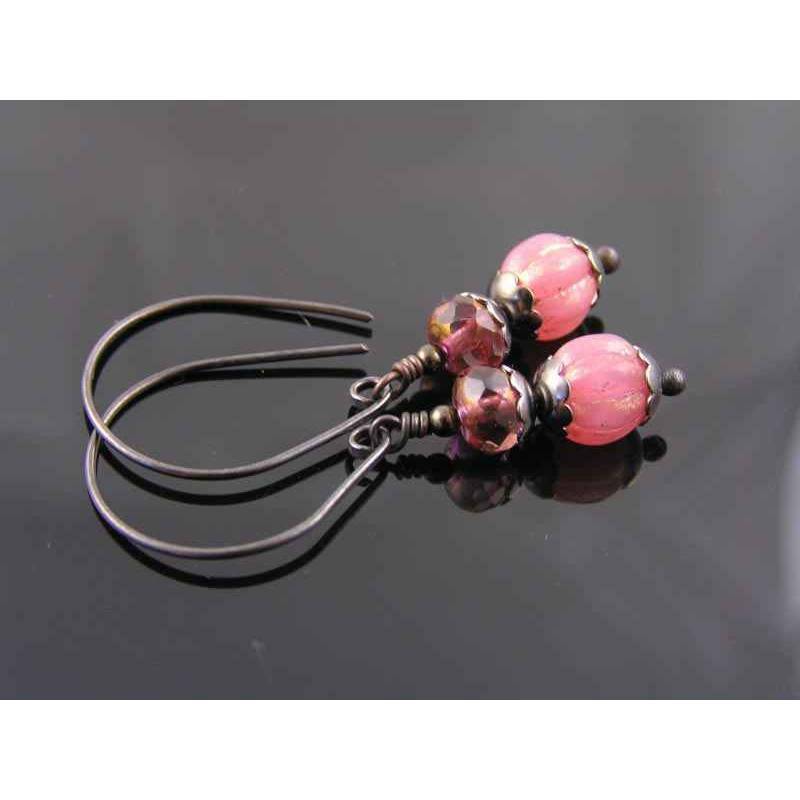 These are cute black and pink earrings with sparkling Czech beads and handmade hoop style ear wires. 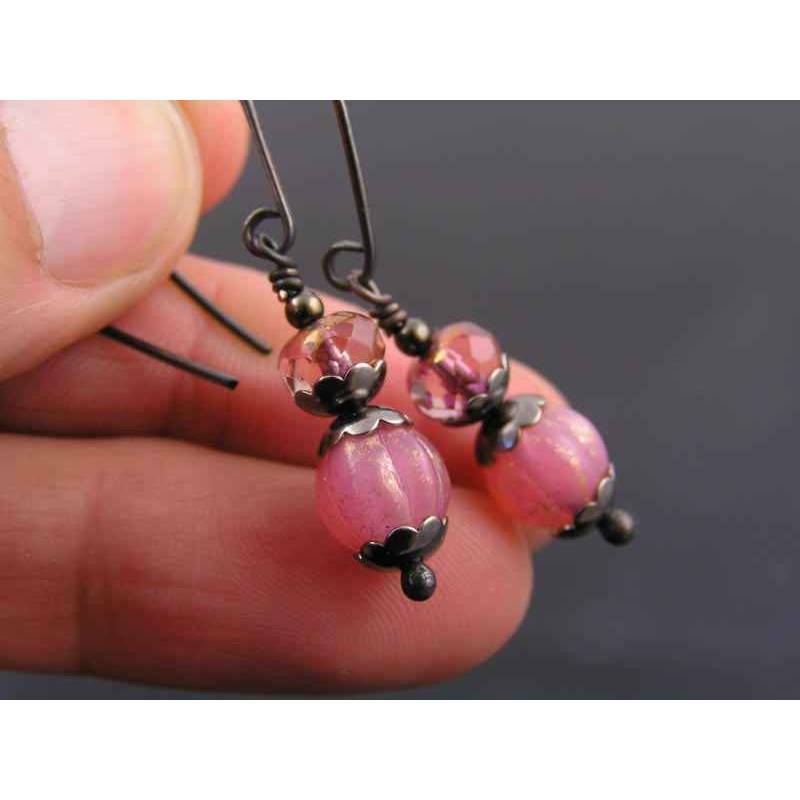 The bottom bead has a lovely golden shimmer and is framed by dark grey gunmetal bead caps. 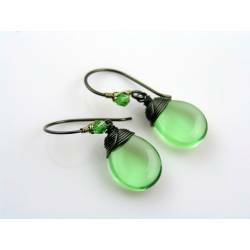 The top bead is faceted and transparent. The beads sit on my hand torched solid copper ball pins. The copper has been oxidised to a near black and is finished with a non-toxic jewellery lacquer to keep colour and shine.